We applied immediately to the Supreme Court, which takes very few cases per year. This was denied on Feb 3 2012. We are now challenging the DCMS to finally investigate the closures according the Libraries and Museums Act 1964 which states that local authorities must provide “a comprehensive and efficient” service. The courts cannot rule on this, and it is the Secretary of State’s responsibility to investigate. The department met with Brent Council in June 2011, but has so far failed to meet us or to respond to the 10,000+ complaints made by Prestons users. 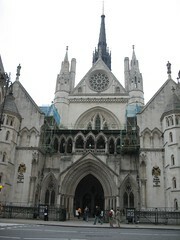 The appeal was fast-tracked on Oct 19 following the High Court verdict on Oct 13 2011. The judicial review into Brent’s library closure plan took place between Tue 19 – Thur 23 July 2011. The public galleries were full and we received a great deal of media coverage. On 13 October, Mr Justice Ouseley found against us. We vowed to fight on knowing closure is uneconomic, unnecessary and ideological. Immediately, the 5 libraries were boarded up, with a 6th, Kensal Rise, prevented by children. All 6 are closed to the public pending an appeal. Brent promised not to dispose of books and equipment till the Appeal, but having preemptively tried to gut Preston library on Mon 16 Oct, locals maintain a vigil to ensure they remove nothing. John Halford, acting on behalf of Brent SOS Libraries campaign, says a decision is possible mid-August, but could come as late as October. This is the country’s first legal action regarding library closures. You can read accounts of day 1, day 2 and day 3 here. However, please be aware that the arguments are necessarily complex and only aspects have been covered in these pages. If you want to understand them better, please see the documents below. failed to disclose its criteria, and reasons, for rejecting alternative community-based means of retaining some or all of the libraries earmarked for closure. The closure decision will have serious, and probably irreversible, consequences for those who rely on the six libraries in question, including the Claimants. Given the importance of the decision for local people, the Council was obliged to explore all the options carefully and make sure that it had accurate evidence about the likely impact of the decision, in particular on disadvantaged groups. If the Council had approached the matter with an open mind and avoided the errors above, the outcome of the decision-making process could have been radically different.